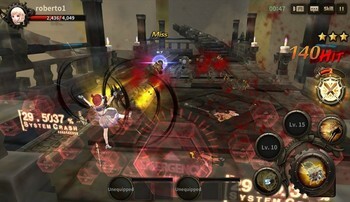 Description: Aurora: Origin - the first part of the game series installed in the universe of the same game Aurora: Urban Secrets. Download and enjoy! Description: Our main character is a guy like any other normal guy. Lives a peaceful and uncomplicated life. This unforgiving life turns into a rather complicated one, when he receives a letter from the mafia, who tells our unfortunate hero, about the past of his parents, now he is under a mafia contract. Download and enjoy! Description: You take control of a guy living with three beautiful women. 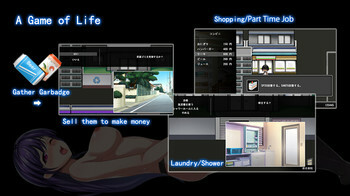 You live a rather ordinary life ... You go to school, do your own thing, go to college, play games, watch TV. And then, on the same day, it starts repeating and repeating, and ... repeating. Download and enjoy! Description: Professor D. Rand, the leader of the supervillains, managed to escape from his imprisonment, the maximum security prison, where he was taken after his last defeat. Download and enjoy! Description: The undead have risen! Corpses are loose, maidens on the run!!! A job for a real man. Summoned by your fiery hot ex to clean up the sloppy mess. You slip in the role of the world’s greatest – and best hung – Vampire Hunter. Download and enjoy! Description: You are a man who lives in a house with Olivia and her two girls (Nicole and Jessica). In the game, you have tasks that, by doing this, you get close to different girls, but besides the tasks, various events take place around you: school hooligans demand to do everything for them, Nicole’s girlfriend looks at you as an empty place, then into your home the head of Olivia begins to come quite often ... Download and enjoy!